Hooray! 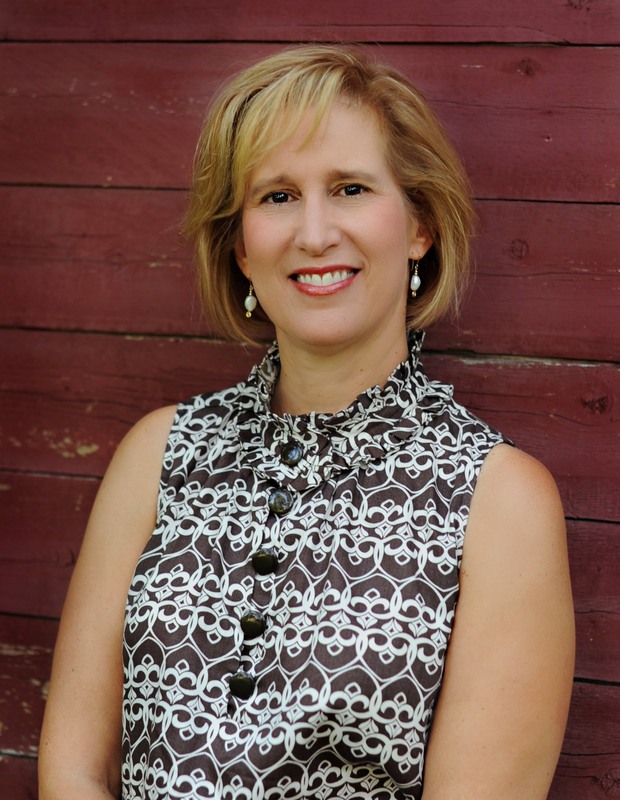 Today I'm pleased to share a Student Success Story interview with my former student and now picture book author (and fellow poet) Eileen Meyer. I believe all of you who are aspiring writers will be especially interested in learning about Eileen's path to publication. 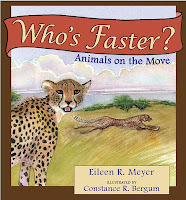 Eileen's brand-new book, Who’s Faster? Animals on the Move, (Mountain Press) is a nonfiction picture book illustrated by Constance Bergum that introduces readers to 14 different creatures from the animal kingdom. Written in lyrical prose, the book starts with the slowest animal and builds to the fastest, describing each creature’s unique locomotion. An informative appendix provides fun facts about animal movement and speed. 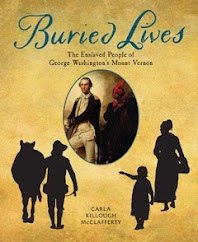 After reading my interview with Eileen, I hope you'll enter our drawing to win an autographed copy for your children or classroom. First, let me tell you a little about Eileen Meyer. 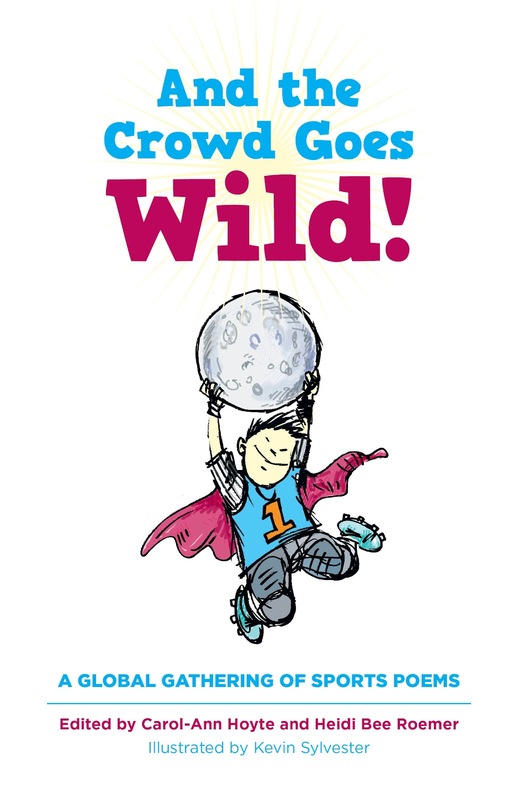 In addition to her picture book, Eileen also has a new poem in the recently released sports anthology And the Crowd Goes Wild: A Global Gathering of Sports Poems edited by Carol-Ann Hoyte and Heidi B. Roemer. (If that title sounds familiar, it's because one of my poems is also in the anthology! I wrote about it in this interview with Heidi.) Eileen's upcoming picture books include Ballpark (Amazon Publishing) and Sweet Dreams, Walrus (Mountain Press). 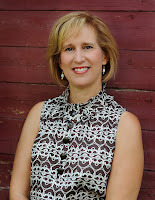 Her poetry has appeared in children’s magazines, including Highlights for Children, Ladybug, and Highlights High Five. She lives in the Chicago area with her family. When she’s not writing or visiting schools, she enjoys reading, watching sports and traveling. To learn more, visit Eileen's website. 1. Eileen, it’s been a long time, maybe 10-12 years, since you took my introductory class in "Writing for Children" at the College of DuPage. Do you recall what inspired you to sign up for the class and/or any ways the class helped you? I remember the first writing course that I took from you with such clarity, Carmela! My three sons were in preschool and elementary school and we loved to spend hours together reading fabulous contemporary children’s books. So for me, it was my interest in great children’s books that directed me towards your class and prompted me to consider writing for children. Your class was filled with a group of like-minded starry-eyed students and it was an informative introductory program. You encouraged us to join the Society of Children's Book Writers and Illustrators (SCBWI), to attend programs and network meetings, to learn how to properly critique work, and to consider submitting to the magazine market. 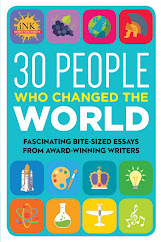 These were all excellent pieces of advice for new writers beginning to find their way. 2. I'm so glad you found the class helpful, Eileen. And that you took my advice to heart! In your article in the current SCBWI-Illinois newsletter, you discuss the importance of writing classes in your career development. Would you tell our readers a bit about some of the classes you took and how you found them? When I joined SCBWI, I signed up for many different courses in order to explore and learn more about myself and what I liked to write. Most class offerings were either advertised on the SCBWI-IL website, posted on our Listserv or listed in the College of DuPage Course Catalog. Through Heidi Bee Roemer’s class, "The ABC’s of Children’s Poetry," I not only discovered my interest in writing poetry, but I was able to connect with classmates and form a special poetry critique group. Through Pat Kummer’s program, "Nothing but the Facts: Get the Scoop on Writing Nonfiction for Children and Young Adults," I found that I enjoyed researching and sharing information with young readers. I’ve taken many courses over the years, but Heidi’s and Pat’s classes were critical in my personal development. I encourage new writers to find their own pace by attending a wide array of programs. You never know what course or speaker might expand your horizons. 3. Terrific advice, Eileen. Your first publishing credits were poems in children’s magazines. 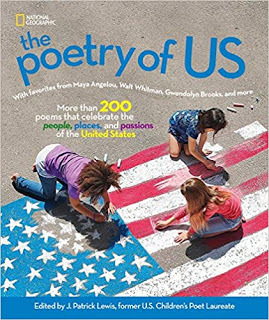 As it happens, both you and I have poems in the recently-released anthology, And the Crowd Goes Wild: A Global Gathering of Sports Poems. Would you tell us about the poem you wrote for that collection? Yes, Carmela, it’s really exciting that a number of Illinois poets have work in the newly released, And the Crowd Goes Wild: A Global Gathering of Sports Poems. For my sports poem, The Letter, I wanted to combine two interesting themes: first, introduce a situation where a parent is the coach and highlight the awkwardness that may result on occasion, and second, expand upon the concept that we all have had a sports outing where nothing seems to go our way – one of those days in which absolutely everything goes wrong! I was able to weave these two themes together in a humorous fashion in this poem. Volleyball’s fast-paced action provided the perfect setting for this young player’s all-too-silly mishaps. In addition, it was fun to work outside of my comfort zone and write something humorous. 4. Would you tell us how you came to write and publish Who’s Faster? Did the book go through a lot of revision between acceptance and publication? My first children’s book, Who’s Faster? Animals on the Move (Mountain Press), was a project that I wrote during winter 2007. Interestingly enough, I have come to find that the January–March time frame is a very productive one for me. I’m not an active winter sports participant, so when I am chased inside by our frigid temperatures, I’ve used my time productively for a number of manuscripts. 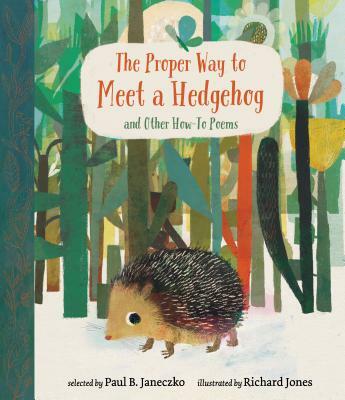 This project was an outgrowth of the fact that I had found books about fast moving animals, and detailed nonfiction books about particular animals, but there didn’t seem to be a book that represented the broad spectrum of slow-crawling to fast-racing mammals. So I began my research and drafted the manuscript within a few months. I had the work critiqued by two different writing groups that I met with at the time and both groups had excellent ideas for tightening the text, incorporating repetition, and including substantive appendix materials. The manuscript text is less than 350 words, so it was a great experience to carefully reduce the text as much as I could. The appendix was 1000 words and included detailed research. Additionally, the book was fact-checked by local zoo staff. Once the manuscript was polished and ready to go, I began to submit to a few publishers at a time. Early on, I received a number of no's but I also had one close call – the editor noted that he turned it down after quite a bit of deliberation. That was one of my first so-called “good rejections” and it spurred me on. As it ended up, my lucky 13th submission hit the jackpot. In March of 2009, approximately 2 years after I had finished writing the manuscript, Mountain Press, contacted me about publishing the book. 5. Your story is yet another example of perseverance paying off. I always tell my students how valuable it is to attend events where they can hear editors and agents speak, but I’m not sure they believe me. ☺ Would you share your story of how attending a conference led to one of your book contracts? I make it a point to attend the fabulous Illinois Prairie Writer’s Day Conference held in mid-November. The line-up of editors and agents is always very compelling. In 2010, I listened to a panel of editors talk about their particular interests for manuscript submissions, and I jotted down notes that one editor was looking for sports-related picture books. A month later, I submitted my manuscript to her, and then I forgot all about it as I immersed myself in other projects. About nine months later, the editor contacted me and asked for a revision to my manuscript, Ballpark. After my resubmission, I was offered a contract for that picture book! This was an opportunity only afforded to conference attendees. SCBWI-IL was critical in opening this door for me to earn my second book contract. 6. On your website, you mention that you didn’t always want to be a writer. Your first career was in business. Has your business experience influenced your writing career in any way? Yes, I previously worked for over 10 years as a software consultant in California and Texas after I earned undergraduate and graduate degrees in business. I designed training programs, helped market the programs and interfaced extensively with customers. After my children were born (three in less than two years – yes, I have twins!) I elected to stay home with my sons and it was a wonderful period in my life. After about six years at home, I decided to write for the children’s magazine and book market, I was glad that I had a varied business background that would aid me in my current efforts. I’ve been able to create and produce some professional looking marketing materials myself – such as bookmarks, school visit brochures, promotional flyers and then have had other projects such as my website, farmed out to experts after I wrote the copy. As a former professional software trainer, those skills transitioned easily to the classroom as I designed and created new school programs offerings. All in all, it’s been a nice blend of new and old skill sets that I’ve been able to utilize. Thanks for joining us today, Eileen. I'm always excited to share stories of my students' success. And now readers, as promised, here's your chance to win an autographed copy of Who’s Faster? 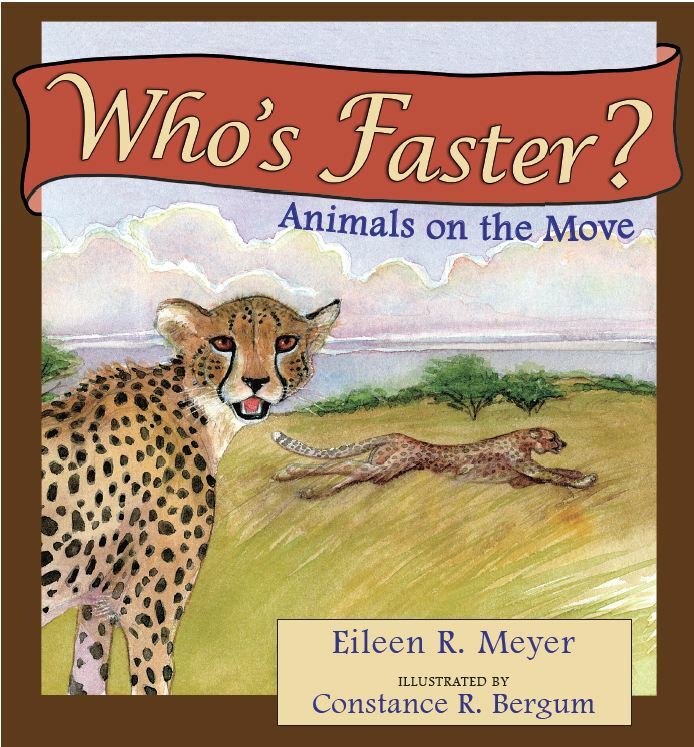 Animals on the Move written by Eileen Meyer and illustrated by Constance Bergum. You must follow our TeachingAuthors blog to enter our drawing. If you're not already a follower, you can sign up now in the sidebar to subscribe to our posts via email, Google Friend Connect, or Facebook Network blogs. 2) by sending an email to teachingauthors [at] gmail [dot] com with "Book Giveaway" in the subject line. Whichever way you enter, you MUST give us your first and last name AND tell us how you follow us. If you enter via a comment, you MUST include a valid email address (formatted this way: youremail [at] gmail [dot] com) in your comment. Contest open only to residents of the United States. Incomplete entries will be discarded. Entry deadline is 11 pm (CST) Tuesday, October 23, 2012. Winners will be announced Wednesday, Oct. 24. Good luck to all! P.S. Don't forget--tomorrow is the last day to enter for a chance to win an autographed copy of Carolee Dean's paranormal novel in verse, Forget Me Not. See April's post for complete details. Thanks for sharing this journey, it is so encouraging to us wannabes. Great interview, Carmelo! And congrats to Eileen. I'm so proud of you!!! 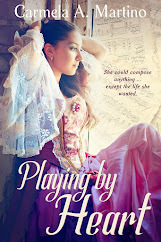 Congratulations to two of my favorite authors---Carmela and Eileen! You are both inspirations to me on a daily basis. Thanks for stopping by, Mary, Michelle, and Julie. So glad you enjoyed the interview. Thanks for the interview, it was both informative and inspirational. My full name is Carl Scott. I follow the Teaching Authors by email: carlscott(at)prodigy(dot)net(dot)mx. I always thought the fastest land animal was the cheetah. Is that still the current wisdom?